The MacArthur Building is named for Southern Railway's last steam-powered freight train that arrived in Chattanooga on June 17, 1953 behind Locomotive No. 6330 which was nicknamed "The MacArthur." The MacArthur Building features recently renovated guestrooms. Spacious rooms with a king bed or two queen beds are available; each with a refrigerator and plenty of outlets and USB ports for your devices. Complimentary coffee from Frothy Monkey is available in the building lobby every morning. All guests have access to the heated indoor pool, open year-round. Each room is accompanied with a television, desk with chair, mini fridge, coffee maker, and high-speed internet access. 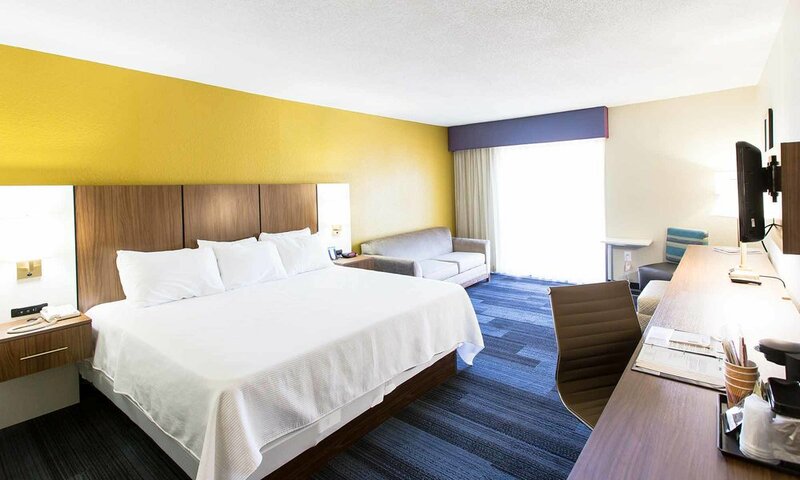 Book one of our Chattanooga hotel rooms today to reserve your next experience! Ample USB charging ports, including bedside. Iron and Ironing Board, upon request. All rooms in The MacArthur feature a sliding glass door, with a mixture of patios on the first floor and Juliet balconies on the second floor. You are steps away from great restaurants, bars, entertainment and all that the great Southside neighborhood has to offer!